The industry's best Cost/Performance USB 3.0 upgrade for PC's. New Compatibility Breakthrough! Supports all Industry Standard USB2/USB3 Devices. 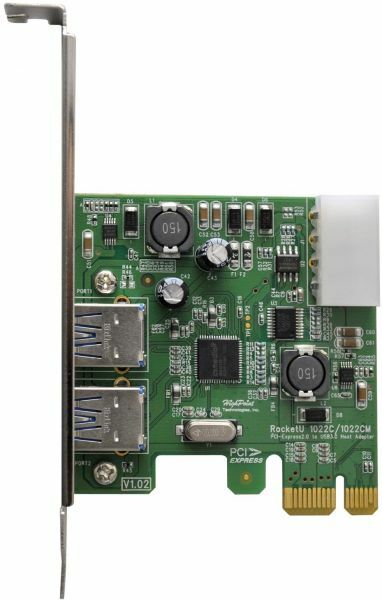 In addition to high-performance storage devices, the RocketU 1022C's Next-Gen USB 3.0 architecture supports USB 2.0 &amp; 3.0 peripherals, such as device hubs, card readers &amp; interface devices.